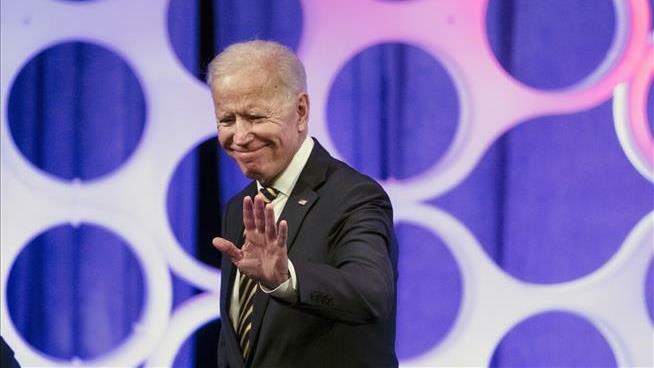 (Newser) – On the cusp of an expected White House run, Joe Biden is returning to a familiar role this week as one of the nation's top eulogists. The former vice president will speak Tuesday at the funeral of Fritz Hollings, the longtime South Carolina Democratic senator who was Biden's Capitol Hill deskmate and friend. The tribute will add to the already memorable eulogies Biden has provided for everyone from Strom Thurmond to John McCain and Ted Kennedy, reflecting his status as the go-to man to speak about the legacies of Washington's one-time titans. But his presence at Hollings' funeral is also a reminder of Biden's decades-long presence on Capitol Hill at a time when some Democratic activists are putting a premium on fresh faces, reports the AP. And his relationships with Republicans, Democrats, and one-time segregationists like Thurmond and Hollings come at a time when Democrats are placing greater emphasis on gender and racial diversity. Politics aside, Biden is known as a poignant eulogist. Those close to him say that's because he's someone who has known profound grief following the 1972 car accident that killed his first wife and young daughter. That sorrow was compounded by the 2015 death of his son, Beau. "There's a politician way of delivering a eulogy, and a more human way of delivering a eulogy," said Jon Favreau, a speechwriter for former President Obama. "Joe Biden's eulogies are as human as they come, and I suspect that he connects so well with people who are experiencing grief because he's endured more than most." I thought it would be Biden Resumes His Role as the Creepy Ex-VP.